Spring Cleaning? We Can Help you Sort Through It! The Kent County Recycling Center can provide you with answers to these questions! Old flowerpots and holders can be reused and recycled quite easily! There are a variety of greenhouses in the Grand Rapids area that accept plastic pots and holders for reuse and recycling. Countryside Greenhouse of Allendale accepts all shapes and sizes of plastic horticultural holders and pots, right outside of their front doors. Customers can drop these items off in the bins located outside the greenhouse, or take them out for reuse at no charge. Flowerland, located on both the north and south ends of Grand Rapids, also takes unwanted plastic holders and pots for reuse and recycling. Bos Greenhouse and Farms, located on the east side of Grand Rapids, will accept containers that are quart-sized or smaller. If you live near a Greenhouse, do not hesitate to stop by or call them, and inquire about dropping off your unwanted horticultural plastics. Kent County is commonly asked about recycling garden hoses. Though they are a type of plastic, anything stringy causes significant damage to sorting equipment so it should not be put in your curbside recycling bin. Instead, consider a fun reuse idea, like making your broken hose into an outdoor rug! Or, place it in your trash for safe disposal – it’s not recyclable. Plastic lawn and deck chairs, if made completely of sturdy plastic without metal, can be cut up and recycled. However, make sure that the dimensions of the plastic pieces that you place in your recycle bin are less than two feet by two feet. If the chair has flimsy plastic (like woven strapping), be sure to remove it before putting the sturdier pieces in your recycling bin. Put the strapping in your trash. If you find that your lawn mower is broken during spring-cleaning, not to worry! You can take it to a repair technician like A1 for repair instead of getting rid of it altogether. You can call (616) 459-7058, the Leonard Street location, and they would be happy to assist you in getting your mower back up and running. If your lawn mower is completely broken and beyond repair, it may be best recycled at one of the area scrap metal locations, like a Padnos Recycling Center, which can be found at www.padnos.com; you can call 1-800-442-3509 for more information about what items they are able to accept. Be sure to remove gasoline and oil before taking it to a scrap metal recycler. Lastly, while spring-cleaning you will probably find old gasoline and lawn chemicals. The Kent County Department of Public Works has four locations for drop-off of these toxic fluids, including Kentwood, Grand Rapids, Rockford, and Wyoming. You can find additional information about them at www.recycleKent.org. 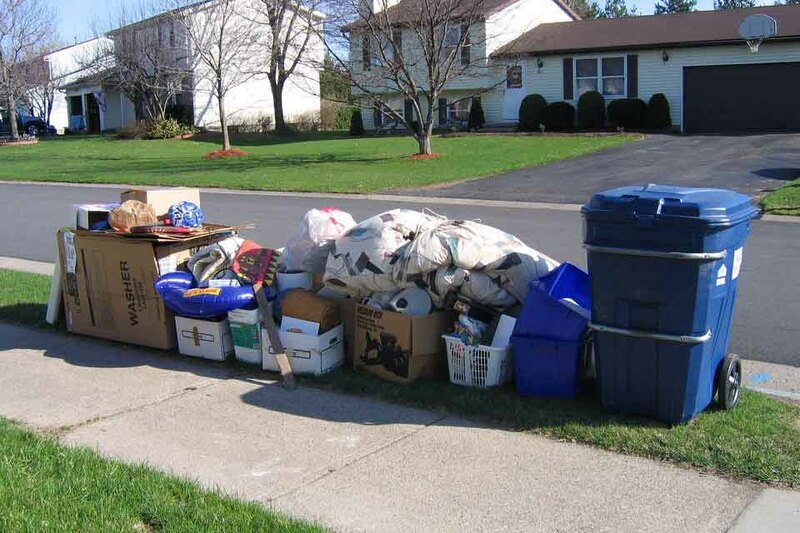 Watch our Spring Cleaning recycling videos!